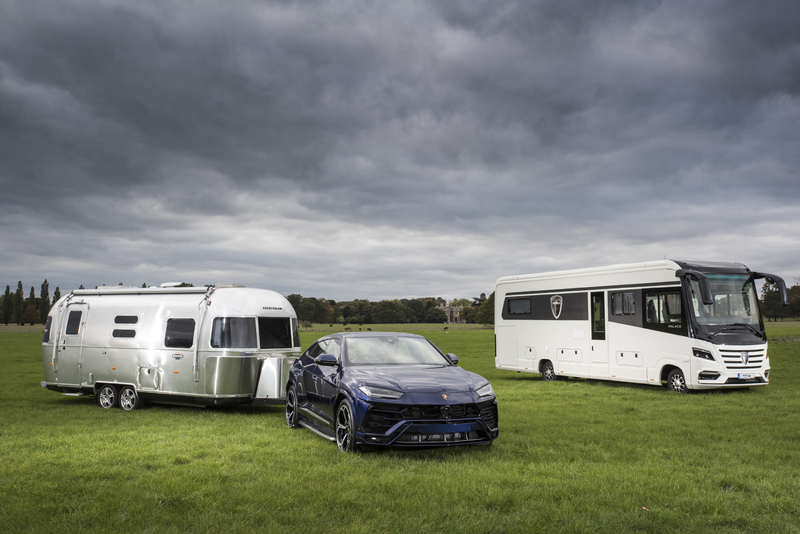 The new-for-2019 Morelo Palace Liner motorhome, which retails for more than £270,000 joins the new Lamborghini Urus towing an Airstream, making their way to Birmingham’s NEC for the UK’s largest leisure vehicle show from 16 to 21 October. 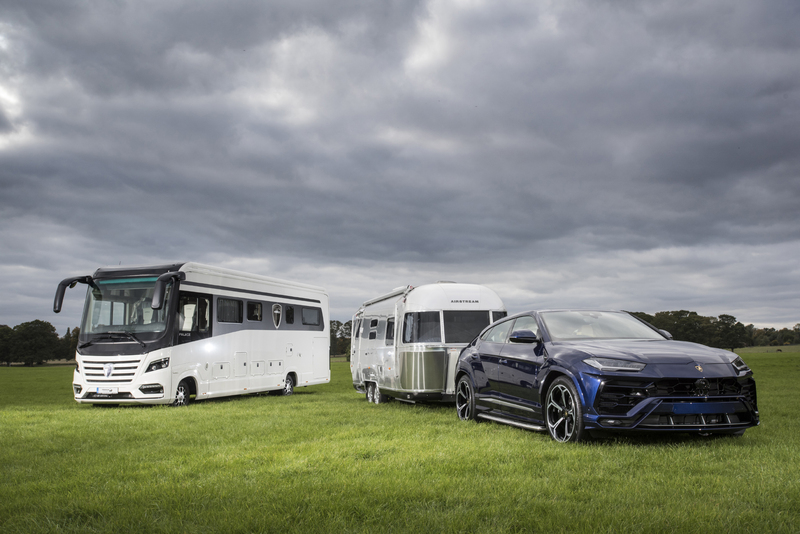 With more than 1,000 vehicles on show worth a combined value of more than £36.5 million* the Motorhome and Caravan Show 2018 includes all the new 2019 models: motorhomes, tourers, campervans, caravan holiday homes, trailer tents and accessories. Daily launches take place in the LIVE Theatre and celebrities take to the stage for interviews and Q&A’s. Architect and TV presenter George Clarke opens the show on Tuesday 16 October and television’s Dr Hilary Jones and Dr Dawn Harper praise the mental and physical health benefits of leisure vehicle holidays. Sharron Davies discusses why she loves motorhoming and Bonita Norris gives visitors a recount of her time climbing Mount Everest. Visitors can enjoy live cooking demonstrations, relax in the new Woodland Trust Wellbeing Rest Area, and enjoy free attractions such as Motorhome Manoeuvring, Towing Tuition and the ever-popular Campervan Test Drive. Exhibitors offer information and advice on holiday destinations and tours throughout the UK, Europe and farther afield. A weekend crèche is available and a BSL interpreter will join the LIVE Theatre on Saturday and Sunday. Visitors can also pitch their caravans and motorhomes on-site at the NEC by pre-booking their places online. The Motorhome and Caravan Show 2018 runs from 16 to 21 October at Birmingham’s NEC. Tickets are on sale from just £8.50*, with free entry for children aged 15 and under, book now by visiting www.mcshow.co.uk or call 0844 873 7333. *NCC Events; Based on an average order value of £47,000 for a motorhome and £20,000 for a touring caravan. An entry level touring caravan starts from £13,500 and an entry level motorhome costs around £38,500. ^£8.50 Senior (over 60s), £9.50 Adult when booking before 23:59hrs 15/10/18 after which time prices revert to the on-the-door price of £12 Senior and £13 Adult. A £1.25 transaction fee applies. Calls cost 7p per minute plus your phone company’s access charge. Car parking is included in the ticket price. No dogs (except assistance dogs). Children 15 years and under go free when accompanied by a paying Adult/Senior. Tickets are non-refundable. Free show guide and towing & manoeuvring tuition are subject to availability. The Woodland Trust is a charity registered in England and Wales (No. 294344) and in Scotland (No. SCO38885). This press release was distributed by ResponseSource Press Release Wire on behalf of RSM - Result Strategic Marketing in the following categories: Consumer Technology, Motoring, Travel, for more information visit https://pressreleasewire.responsesource.com/about.